five − = 3 Required Please enter the correct value. 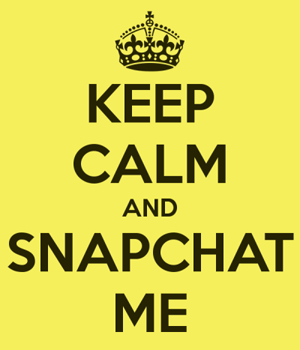 Alibaba announced early yesterday that it would invest $200 million in private photo messaging firm Snapchat. Estimates have the infusion of Alibaba Group Holding Ltd (NYSE: BABA) capital boosting the overall valuation of Snapchat to $15 billion. That valuation looks unwarranted and may come back to bite Alibaba in the future. Snapchat was previously courted by Facebook in a $3 billion acquisition bid in late 2013, but it declined the offer and has since raised $650 million in funding on its own. The Venice, California-based privately held firm has yet to produce significant revenue and is currently banned in China (where Alibaba is incorporated). It lays claim to 100 million monthly active users worldwide. Alibaba has made clear a desire to build up its mobile service and e-commerce capabilities and at first glance this investment is in keep with that objective. Upon closer examination, the future viability of Snapchat to hasten mobile sales is tenuous. Snapchat has been successful in luring news services such as CNN and ESPN into providing content on their platform. Alibaba may see this toehold established within Snapchat as clearing a path for e-commerce. The $200 million funding bears an uneasy similarity to Yahoo's buck shot approach to targeting companies before -seemingly – ascertaining their method of integrating them into a broader business plan once claimed. "Shoot first, aim later," could summate Yahoo chief Marissa Mayer's aggressive acquisition model that has done little to define the company and landed Mayer in the hot seat. Yahoo! Inc. (Nasdaq: YHOO) in late 2014 was rumored to be interested in a capital stake in Snapchat. Of course, Yahoo has a stake in Alibaba, so any aligned interests or views of the viability of Snapchat investment may not be coincidental. That said, Yahoo is not setting managerial policy for Alibaba as a roughly 16% shareholder with little intrinsic value of its own. Money Morning's Technical Trading Specialist, D.R. Barton had no ambivalence about the dubious investment potential and bloated valuation of Snapchat when he appeared on Fox News on February 20. "That one [Snapchat] is certainly a bubble valuation….and is most like [valuations] we saw back in the late 1999 era. Snapchat didn't even go after revenues until the middle of last year." He added, "They have 700 million pictures a day coming through a day on Snapchat with those disappearing photos…but the revenue model is still unclear so boy that sounds bubblish to me."